Cabrales, a hidden corner of northern Spain. Here, cheese is made by farmers who live in remote stone huts, high in the misty mountains. 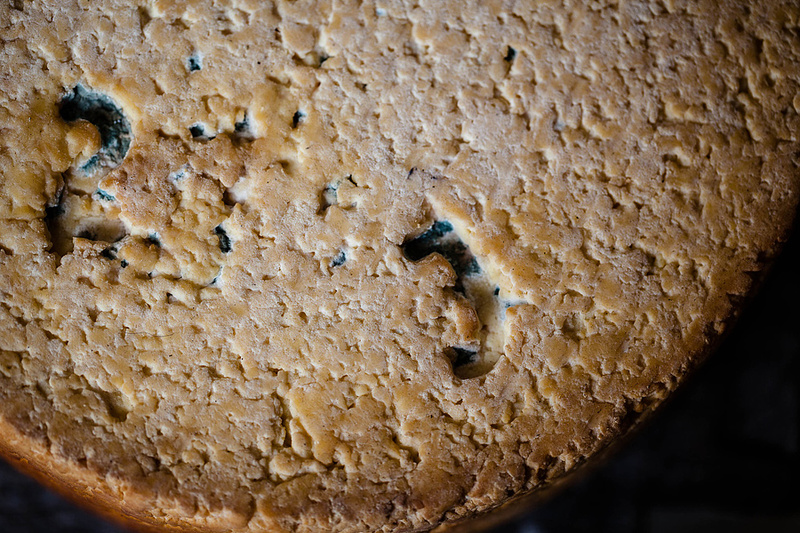 The cheese is matured from white to blue in damp, dark caves adorned with spiders webs. The pungent smell that greets you when you enter the caves is overwhelming. 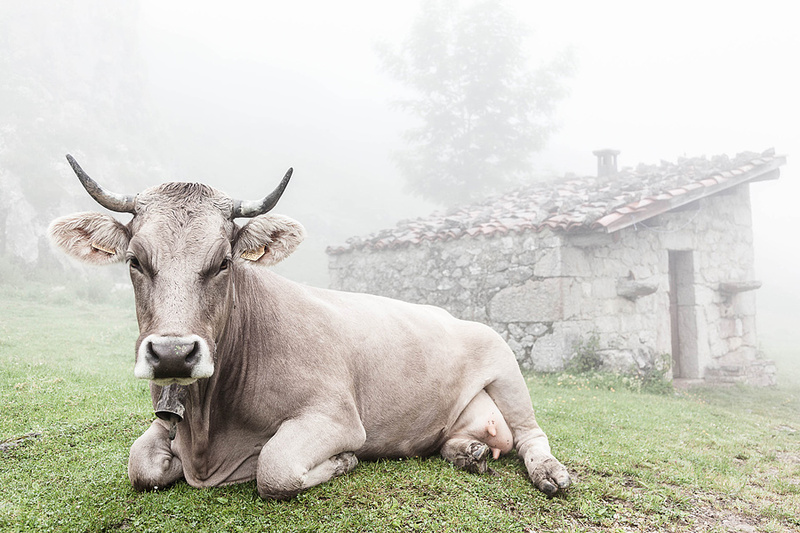 The only sound as you trek the path to reach them is of cow bells from the cattle, rendered invisible by the all-enveloping mist. Cattle which, when I did eventually come face to face with them, turned out to be the most beautiful (and enormous) cows I have ever seen. Travelling to Spain this year? Check out Food and Travel‘s ‘Essential Spain’ supplement included with their July 2013 issue, highlighting the country’s top 100 food experiences – everything from olives to octopus…. It includes the low down on the best food markets, wine, cheese, chefs, sweet treats and loads more. Not to be missed! Includes photography by myself plus two of Food and Travel’s other regular photographers (the two largest images on the sample pages shown above were shot by me). “A northern coastal region of Spain, known for its seafood, cave-aged cheeses and sweet pastries – you’re spoilt for choice”, says Michael Raffael, the journalist I travelled to Asturias with for Food and Travel magazine. Michael and I are both keen travellers and have worked with each other on Food and Travel articles over the last few years, but neither of us had seen or smelt anything quite like the damp, dark caves where Cabrales DO blue cheese matures for several months! – just one of the Top 10 food experiences in the Asturias region that we covered in the article. Read more in the 150th Special Edition of Food and Travel (October 2012 issue), out now.